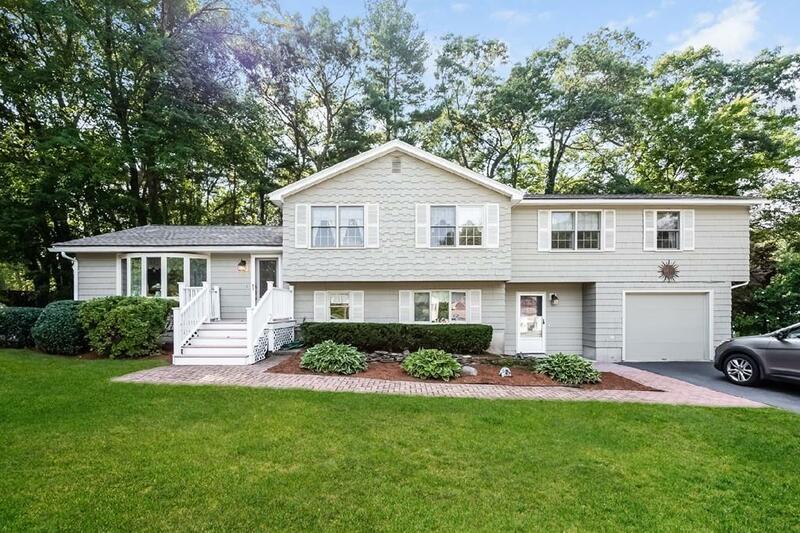 Large tri-level home in the Rio Vista section of Billerica, (near Carlisle), also very close to Winning Pond and the Ralph Hill Conservation area. This location is minutes away from route 3 with easy access to 128 or 495. This home is on a corner lot and has lots of privacy. Approximately 18 years ago the owner built a legal in-law addition that consists of 2 bedrooms, full bath, half bath, living room, kitchen small dining area on several levels, and terrific deck. Interior doors connect this with the main house which has 3 bedrooms, Family room, . Living room, dining room, kitchen, full bathroom, and a 3 season screened in porch. There is also a 1 car Garage, and ample shade in the back yard, with a storage shed for yard maintenance. Many major updates have been done over the past 8 years, (full list added as an attachment).. This home is well cared for and in excellent condition. This is a family and child safe area. See Open House schedule. This Home will not last.